Comment on the importance of Model Railway Exhibitions. A layout with two themes: either a Wagons­Lits Depot or US Diesel depot, with photos and trackplan. Notes and trackplans based on Austrian railways. Ideas and trackplans (approx 4ft x 1ft for HO) for modelling US outline in small spaces. 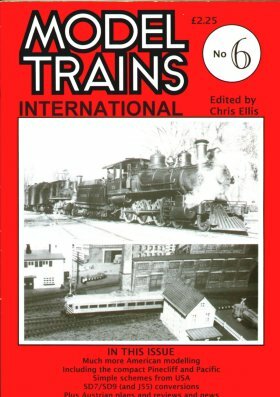 US outline N scale layout, with photos and trackplan. Article An Ideal Portable Layout?